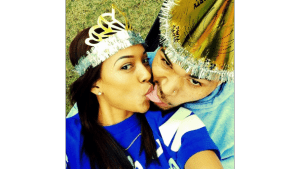 Chris says HE dumped Karrueche…Find out WHY! YESTERDAY TMZ reported Karrueche Tran’s side of the story. Today it’s Chris Brown’s. The two officially broke up…and Koochie’s camp said it was because Chris never stopped partying and that the LAST STRAW came when Chris supposedly liked two pic on Instagram of him and Rihanna. So—two VERY different stories. Who do you think is telling the truth here?